I can smell Borges in my dreams, and I dream about him often. He reeks of age, with the mustiness, the sourness of years. And the odor gives off a peculiar sweetness, too, as if he has smoked ripe old tobacco in a pipe for many decades, although I suspect he didn’t. A writer of poems and brief, enigmatic stories, and provocative essays that were also stories, Borges moved easily between fact and fiction, and his wild inventions became truths. It was all fiction for him, as in the title of his most celebrated volume, Ficciones, first published in the early 1940s. Fiction means, in its Latin root-word, “shaping.” And Borges was always shaping realities, even making them. She phoned him from her study in Hamilton Hall at the University of St. Andrews, where I had weekly tutorials with her in 19th-century British history. A stickler for facts, she had me recite the kings and queens again and again. “Get it right this time!” she would say. “The world is built upon facts!” It was arranged for me to meet Alastair at the Central Tavern, on Market Street, the following afternoon. Standing at the bar, talking for two hours or more, Alastair and I became friends at once. He asked me to show him a few poems, and I happened to have a number of samples in my rucksack. After a quick perusal, he invited me to Pilmour for tea a few days later, suggesting that I bring a new poem in rough draft for him to “correct,” as he put it. The term slightly unnerved me, as I didn’t imagine I needed anyone’s correction. On the appointed day, I pedaled to his cottage along the West Sands on my bicycle, through a cold slantwise drizzle. Gingerly, I put my damp poem on his kitchen table, between mugs of tea and jam pots, and sat beside him. Not a word was exchanged between us as he crossed out words and added others, with a sharp pencil. He moved stanzas around. A fresh title was applied to the poem with a question mark. He watched with considerable awe, however, as Graves took the work that he had thought beyond reproach and improved it, crossing out gaudy adjectives while putting in stronger nouns, eliminating adverbs, finding stronger verbs. The passive voice disappeared almost completely, and the syntax strengthened. The inner music of each sentence emerged, and the pages sang. I had never heard of Jorge Luis Borges, and could find nothing of his in the local bookstore. But soon the old writer appeared before me: rumpled, blind, with a huge head and skinny legs. He seemed oddly powerful, however, and sat with his hands folded on his cane. His suit was ill-fitting and out-of-date, with a gold watch chain across his waistcoat. I suspect the suit had been tailored in Argentina, probably decades before. It was frayed, cuffed, made of indestructible wool with a flat sheen and moth-holes in the sleeves. His soiled white shirt had a high, stiff collar, like something from a photograph from the previous century. I thought of his tie as a palimpsest of many previous meals. His deep voice boomed, beautifully controlled, almost theatrical. The accent was slight: his grandmother had been English, and he had grown up with the language. He read Shakespeare and Wells, Stevenson and Chesterton, Wilde, and any number of obscure poets in English. “I adore Chidiock Tichborne,” he said to me. “Don’t you?” He could recite long passages of Anglo-Saxon verse from memory. One day Alastair asked me to “babysit” Borges, as he had to go out of town. And I agreed, of course. Anything for Alastair, whom I had come to adore. Borges wanted to “see” the East Neuk of Fife, he told me, when Alastair was gone. So I borrowed a car from a friend and took off with Borges in a rusty Morris Minor, which I barely knew how to drive. We made an eccentric couple, the elderly blind writer from Argentina and the young American. 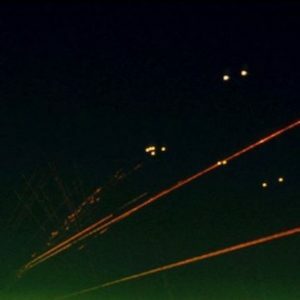 Neither could imagine the other. One of several scenes that hang in my dreams occurred in a pub along the coast, near the fishing village of Anstruther. 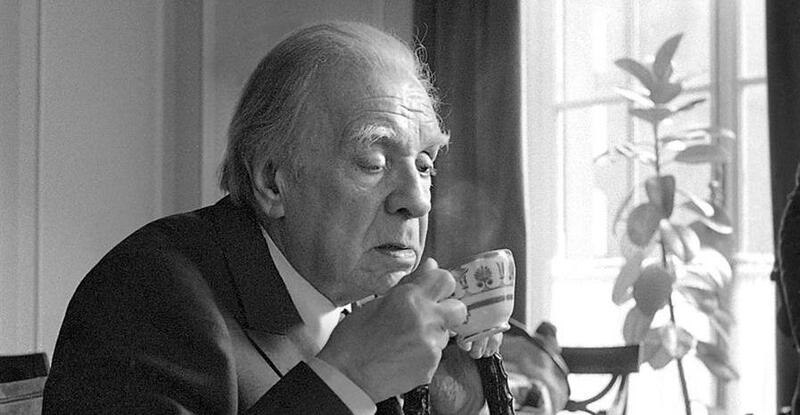 Borges wanted to experience a Scottish pub “in its full glory,” he said. Drinking in Scotland is, indeed, something of a religion, but it’s strictly low church. We stopped at a sawdust-floored, concrete-walled pub in the middle of the village, and I recall leading Borges into a basement room, the walls sweating, the place so dark that even a blind man needed help to get around the large wooden tables. Borges asked for beer, and I brought him a pint of Export, the flat, warm beer that everyone drank in those days. I can see him bending over the glass, both hands around it. He sniffed the foamy head of the brew, and approved, stirring it with one finger, which he then licked clean. He took a long slow drink and smiled. He wiped the foam from his lips on the sleeve of his jacket. The big blank eyes rolled in his head. This essay originally appears in Vol. 39, No. 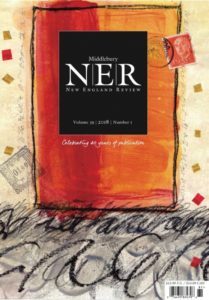 1 of New England Review. Jay Parini is a poet, biographer, and critic who has published seven novels, most notably The Last Station, which was made into an Academy Award-nominated film in 2009 and translated into over 25 languages. He is the D. E. Axinn Professor of English and Creative Writing at Middlebury College, and the author of Promised Land: Thirteen Books that Changed America.